We meet at the Dinton Activity Centre, owned by Wokingham Council, in what was the old sailing club at Dinton Pastures and previously know as "the MAC". If you're coming from Wokingham then at the traffic lights on Winnersh cross roads, with Sainsbury's to your left, turn right and follow Davis Street over the motorway. 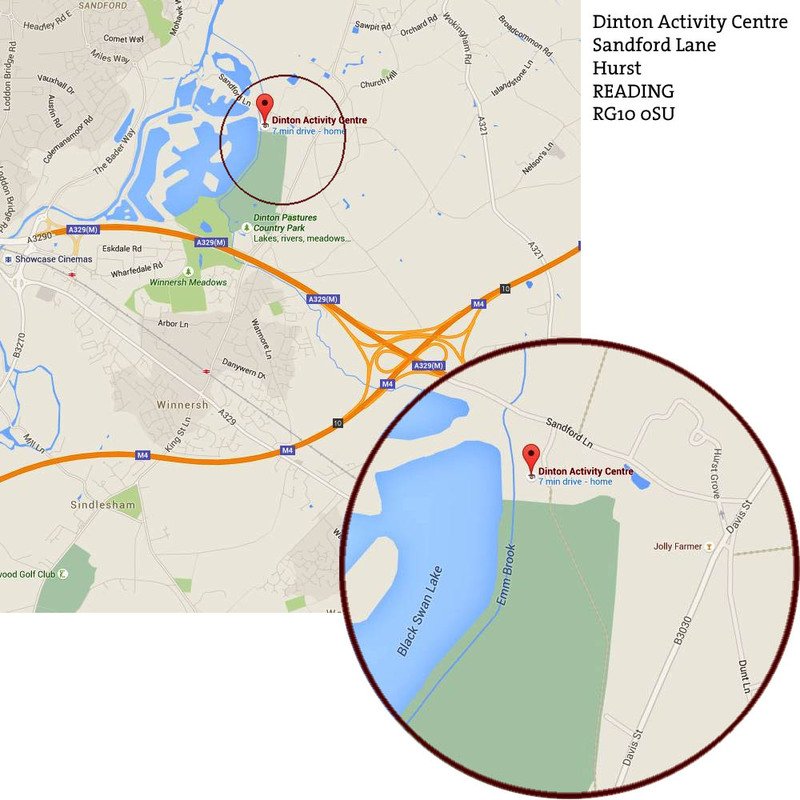 Continue past the first entrance to Dinton Pastures and turn left onto Sandford Lane, see inset. Continue along Sandford lane until you see the Activity Centre on the left.